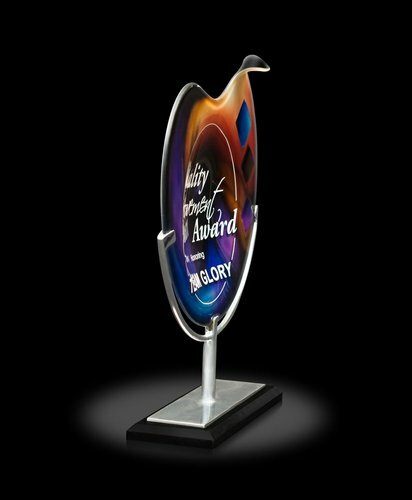 The Delphi award made of art glass. No other medium captures the dance of light and color so completely. 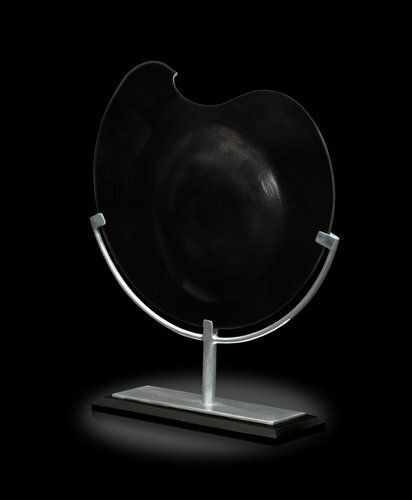 Each piece is handcrafted by the finest Artisians. Multi-Colored Art Glass with Polished Aluminum Base. Each piece has its own personality. No 2 pieces are exactly alike. 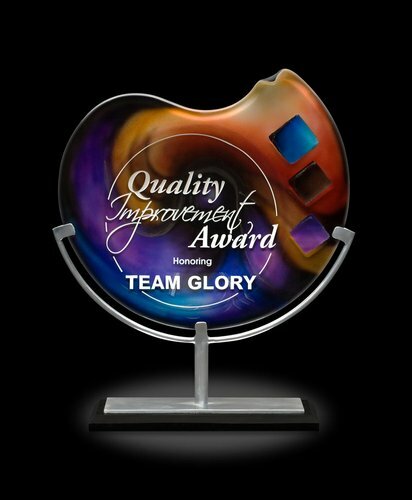 Nothing says achievement like the sparkle and shine of art glass.